Contact our Memphis dental office about lifelong oral health care for you and your family. Schedule your next dental check-up and ask about our available cosmetic, restorative and implant dentistry services. Partial dentures restore your tooth function when you’ve lost more than one tooth. Your surrounding, healthy teeth create the necessary support for your partial denture. A fixed, partial denture can be secured by dental implants and permanently restore your tooth function. 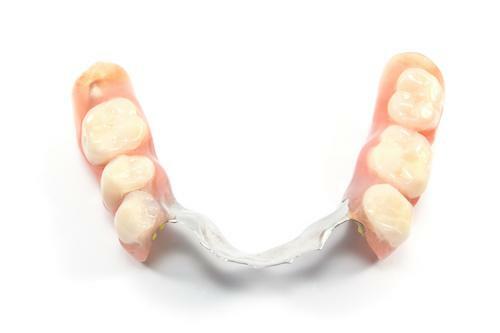 A removable, partial denture (often referred to as a dental bridge) secures your tooth replacement using the two healthy teeth on either side of your tooth gap. Placement of your partial denture restores your ability to eat, chew, speak, and smile with confidence. Your treatment improves your facial appearance, helps prevent your surrounding teeth from moving out of alignment, and keeps your bone and gum tissue healthy. We love our current dental family and would like for you to be a part of it. So give us a call today to set your appointment. Walk ins are from 8:30-11:00 and 1:00-3:30 and will be seen after our regular scheduled patients.